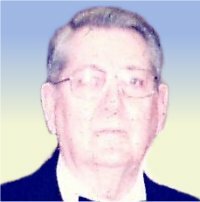 Clifford R. Richardson, 88, of Belleville, Illinois, born Thursday, September 4, 1930, in Oak Park, IL, passed away Tuesday, April 2, 2019 at his residence. Cliff was a retired Lineman for Local #309 IBEW of Collinsville and was a Bus Driver for First Student Bus Company. He was a Past Master for the Gothic Lodge #852 A.F. & A.M. of Fairview Heights, IL. Visitation: Visitation from 4:00 pm – 7:00 pm, Sunday, April 7, 2019 at Kurrus Funeral Home, Belleville, IL. Masonic services will be held at 7:00pm. Funeral: Funeral Services will be held at 10:30 am, Monday, April 8, 2019 at Kurrus Funeral Home, Interment will follow at Lake View Memorial Gardens, Fairview Heights, Illinois.